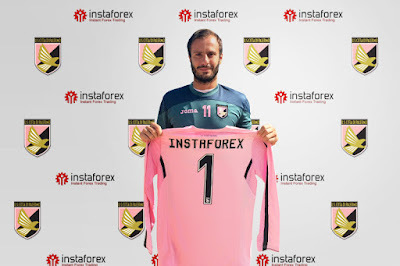 SMG are delighted to announce it has brokered the latest online trading partnership in SerieA where U.S Città di Palermo and InstaForex unite in a two-year partnership that will run until the end of the 2016-17 season. "We are delighted to welcome InstaForex to U.S. Città di Palermo as our very first online foreign exchange trading partner. Attracting the interest of companies operating internationally and in sectors not traditionally linked with football is a clear indication that our club is gaining stronger visibility and interest abroad and we deem that this important partnership will bring us and InstaForex respective benefits across our respective markets” said Executive Manager at U.S. Città di Palermo, Mr Angelo Baiguera. Commenting on the new partnership, Pavel Shkapenko, Director of Business Development at InstaForex said: "InstaForex has similar aspirations to U.S. Città di Palermo - we strive to be the best in the Forex industry as does the club in one of the most challenging leagues in the world, Serie A. We are excited to work with such an established and followed club". Stephen Pearson added, "we are thrilled to continue our long standing relationship with Instaforex and know that both parties will have a mutually beneficial relationship."